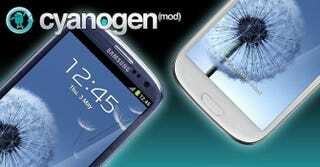 I just want Cyanogenmod 10.1.2 is that too much to ask for phone? Edit: In my desperation I failed to look up my problems on youtube. But I figured it out and finally have Cyanogenmod finally installed. SWEET SUCCESS! Hi there, I need help so I thought I'd ask the lovely Niners this time around. I'm trying to install Cyanogenmod onto my new SG3 (Tmobile) and really can't stand Touchwiz so I'm going crazy here and I really need your help guys you're my only hope. So I've managed to install ClockworkMod and made backups and all that jazz. I've also managed to root it (I think?) but from what I read that's not really needed? Anyway, I try installing CM10.1.2 but I get a STATUS 7 error and I don't know how to fix it. I'm going crazy guys I need Jellybean like now.